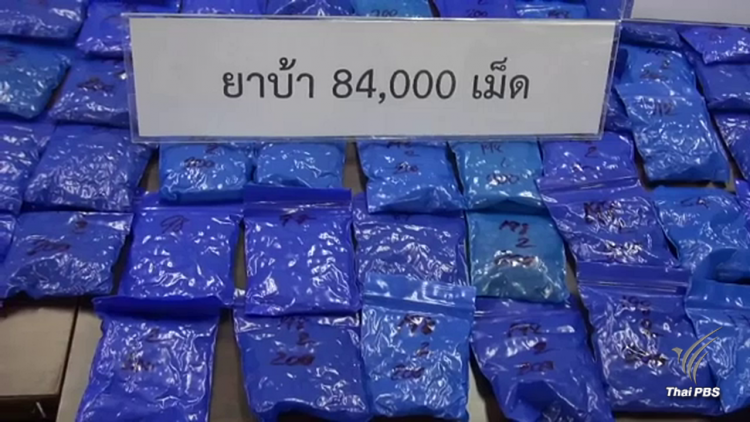 Two college students were arrested in Kanchanaburi’s Tha Muang district on Sunday after police found 84,000 methamphitamine tablets hidden in their sedan. The two students – a male and a female, both 19 years old – allegedly told police that they were about to deliver the drug to a potential customer in Tha Muang district. They said they had been doing this four times, including this one which was busted by the police. The two suspects allegedly told the police that they were hired by their senior in the college to bring the drug from the Thai-Myanmar border area in Sangkhla district to be delivered to customers in Tha Muang and Tha Maka districts. The money they received from their employer was mostly spent drinking and shopping. The two were detained for further interrogation by police who hoped that the information extracted from them could lead to more arrests.